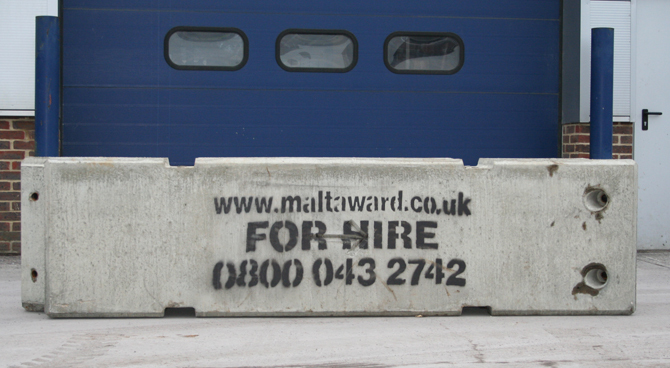 Maltaward’s concrete bollards are a reliable way to keep your site secure and free from trespassers, travellers or unauthorised vehicles. 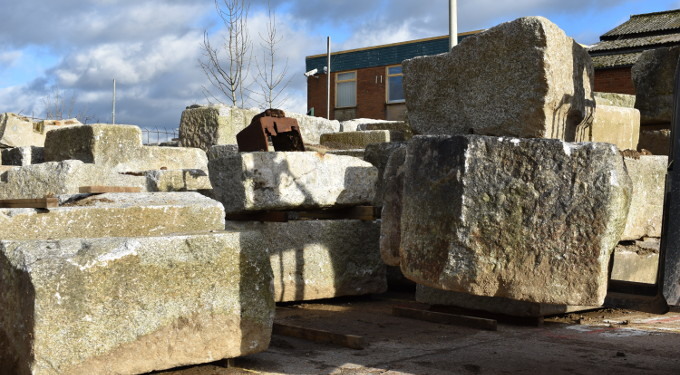 Whether you wish to temporarily block an entrance, or set up a long-term perimeter around part of your site, our range of industrial concrete bollards includes heavy-duty physical barriers suited to agricultural, industrial and commercial use. Our most popular products are listed below – contact us today for more details or to discuss your security needs. Our XL “Lego” Blocks are extremely durable, easy to install and highly adaptable. 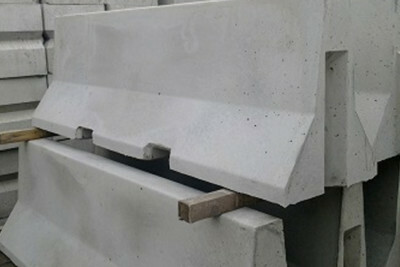 Each block has its own cast-in lifting pin for practical manoeuvring, and Maltaward are the only manufacturer in Europe to produce an interlocking concrete barrier using high-strength concrete (50N / mm). We use a Design Mix concrete, high-quality, locally sourced aggregates so you can always be sure of the consistent quality of a Maltaward concrete bollard. Malta XL Lego Interlocking Concrete Blocks are highly adaptable and are used across the construction, agricultural, environmental and commercial industries. They not only serve as excellent site security solutions, but as supporting or retaining walls, silage clamps / grain storage, and more. 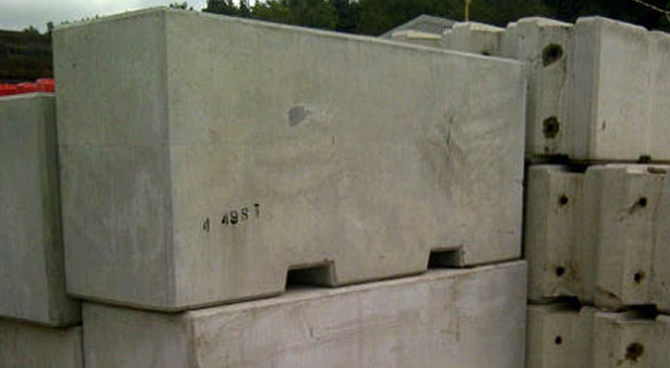 Made from pre-cast concrete, Malta Security Blocks are heavy-duty barriers which prevent access to land or buildings. Each block features forklift slots for easy positioning and reconfiguring without the need for specialist equipment, and we can supply them in a range of sizes from 3800kg to 4500kg. 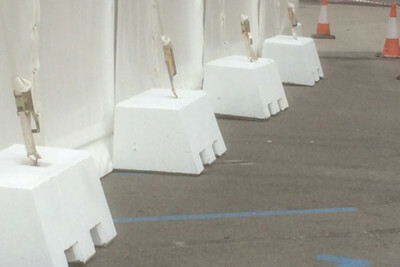 Malta Security Blocks are versatile, and can be used as long-term on industrial and commercial sites, as well as temporary barricades at events. Temporary Vertical Concrete Barriers (TVCBs) are our most popular temporary concrete safety bollard, and are suitable for a variety of applications, such as restricting site access, creating safety perimeters or implementing traffic control. They are commonly used to prevent fly-tipping or traveller settlements on construction sites or temporarily empty premises. TVCBs are available for rental or purchase, and our depots around the UK can deliver to your firm at short notice. For more information about the TVCBs sizes and weights available, please contact us. We work with a variety of clients and understand that some firms prefer a less industrial-looking barrier. Malta rock is a less obtrusive alternative and can be used in exactly the same way as our other barriers to prevent access to your site. 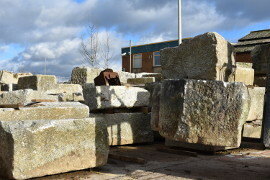 These quarry rocks are more aesthetically appealing than shaped concrete, and are a popular choice for many events and businesses. Maltaward’s experienced team has worked for a variety of clients across the Private and Public sector, delivering professional security barriers for a wide range of industries and applications. If you require any assistance in choosing the most appropriate barriers for your site and purposes, our team will be happy to discuss your requirements and recommend the best solution. We operate all over the UK, and can provide durable barriers and professional installation at short-notice. If you urgently require concrete bollards, please call us on 0800 043 2742. Alternatively, complete the form below and we will respond as soon as possible.